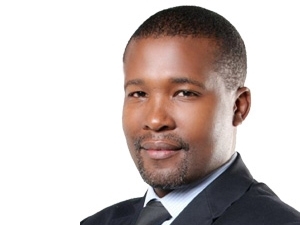 SAPO lost the social grant payment business in 2008, says Mthoko Mncwabe, group CIO. The South African Post Office (SAPO) wants to distribute payments to more than 15 million South African social grant beneficiaries. This is the word from Mthoko Mncwabe, group CIO at the SAPO, speaking at the Public Sector ICT Forum held at the Westcliff Hotel in Johannesburg yesterday. Prior to the South African Social Security Agency's (SASSA's) decision to award the tender for social grant payments to a private company, the Post Office administered these payments. 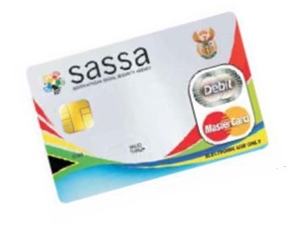 SASSA is the national agency that administers government grants and pensions in the country. Social grants in SA are currently distributed by Cash Paymaster Services (CPS) and Grindrod Bank, subsidiaries of US-based Net 1 UEPS Technologies, after it was awarded a five-year, R10 billion tender in January 2012. The social grant payment process has since seen much legal wrangling. In 2013, the Constitutional Court found that awarding the tender to CPS was "irregular" and ordered SASSA to issue a new tender for social grants payments. The court ruled SASSA had to re-issue the tender by October 2015. Following the court ruling, Net 1 said management was considering whether subsidiary CPS should participate in the tender process, and the company subsequently announced its withdrawal. CPS continues to pay social grants until the contract expires in March 2017. "We lost the SASSA business as the Post Office in 2008," Mncwabe said. He added: "We still want the SASSA business to pay out social grants in future. In 2015, when I joined the Post Office, we implemented a banking system that will actually position us as a company that accepts those particular services." In May, the Department of Social Development (DSD) decided to amend the regulations of the Social Assistance Act of 2004, whereby nobody is allowed to deduct money from a social grant beneficiary's account. Following the department's decision, SASSA and Net 1 subsidiaries have been embroiled in a legal spat. The social grant payment process has seen much legal wrangling since it was awarded to a private company. SASSA and the DSD say the decision to amend the Act was motivated by complaints received from beneficiaries who said airtime, electricity and funeral policy and insurance payments were being recouped before their social grants were paid out. Net 1 argues amending the regulations in the Act are a breach of the social grant beneficiaries' constitution. In June, Net 1 filed for a declaratory order with the North Gauteng High Court requesting certainty on "the interpretation of the Social Assistance Act of 2004 and recent regulations promulgated in terms thereof" following the introduction of the amendments. SASSA followed suit and filed criminal charges against CPS and Grindrod Bank for failing to comply with the newly amended regulations. SASSA contends the deductions made on social grant beneficiaries' money are illegal and that Net 1 has abused its position as the contractor handling social grant payments. SASSA further intensified the fight against deductions by prohibiting debit orders for funeral policy and insurance premiums from disability social grant accounts beginning in December. The social grants agency has warned beneficiaries "to make alternative arrangements regarding the payment of funeral insurance premiums". According to Mncwabe, the Post Office is slowly but surely turning its business around and digitisation of its services is a huge part of that. He explained that about 70% of SAPO's revenue comes from the private sector and citizens, with less than 15% from government. In the previous financial year, Post Office revenue reached R9 billion, with a loss of R1 billion, he said. "Mail revenues are going up." He concluded: "We are trying to change the image of the Post Office as a company. If we don't digitise or improve services as a company, we are not going to be able to tap into the business opportunities that exist."